My man wears Old Spice! This commercial made me laugh SO hard! This is for Jon, who does wear Old Spice and does NOT use ladies' scented body wash... and I know I have at least a couple brothers who use Old Spice in some form or another. My favorite line: "I'm on a Horse." I got spoiled the whole night... from in-seat Hot Dog and soda service (Thanks to Jon and Lynn) to yummy garlic fries (Thanks to Dad K) to good babysitting (Thanks to Mom & Dad S). I even had a good time riding BART to and from the game. I got to curl up next to Jon in the big empty underutilized public transportation system and reminisce about all the times he rode BART down to Fremont see me while we were dating! < <> > It was a great night! Since Jon got so much amusement out of our date last Saturday, I thought it only fair to post about it... especially since Jon gets no end to my teasing on my blog. Jon snickered when I said, "I'll bet Spok and that James Kirk guy end up working together." Jon shook his head and rolled his eyes when I asked, "Wait! Do Star Trek people come from EARTH!?!" Jon laughed out loud when I commented, "Ohhhhh!!! so that's where "Live long and prosper" comes from!" 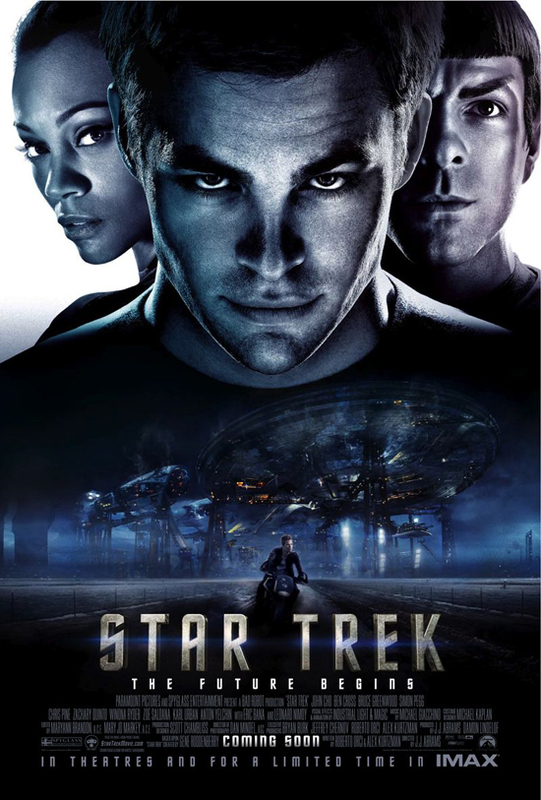 Like I said, I'd never seen a Star Trek start to finish... so all of the above things actually surprised me. I felt very educated by the end of the movie! And, much to the film-maker's credit... I DID actually understand the plot, even though I had no previous knowledge of the characters or the pretense. It's actually a pretty dang good movie! Whoever thought of this whole Star Trek thing might have something going for him! I wouldn't be surprised if some kind of Star Trek fan club pops up one of these days. Let me know if you hear about one! New pattern :) "Messenger Bag"
So here's a new pattern to add to my sewing repertoire... thanks to the "mmmCrafts" blog. Mine doesn't look quite as professional as hers do, but hey, it's a start! I learned several new tricks making this project... for example... I always knew that, in theory, it's easiest to sew things "wrong" side up and then flip it... but I couldn't figure out how to apply that to my purse making... so now I'm excited to be in better control of the seam on future projects :) Also, I love the "flap" thing over the bag, and this pattern makes it simple and perfect! My student wanted all three colors on the bag, so I tried my hand at artfully piecing fabric together. I rather like the way this one turned out. I learned how to make a button hole and I learned that those "pinch" buckles are actually called "parachute buckles," in case you're ever looking for one in a fabric store or something. Don't worry... it's gone... on its way to Florida! Yay for short hair!